The former Leona's restaurant facade was built around a Victorian two-flat. Ald. Brian Hopkins signals that the City Council as early as March 16 could allow the former Leona's restaurant building at 1936 W. Augusta Blvd. to be razed. The site operated as the Ukrainian-owned Pure Farm Products dairy at the turn of the 20th century. The white glazed-brick facade was built in phases around a Victorian two-flat. Volunteers are looking for photos from the 1920s, a decade represented in the East Village landmark district. Should the building be razed, Hopkins will ask that developers review plans with EVA. The city requires the design to be keeping with the district. MCZ Development plans a larger condo building on the site and has said it will consider retaining the façade. Attend a candidate forum at 6pm March 10 at Roots Pizza, 1924 W. Chicago Ave. EVA, Chicago Grand Neighbors Association and West Town Neighbors Association organized a meet and greet with candidates running in the elections next week. The attendee list is still in flux, but candidates/challengers for state senate, state representative, 1st Ward Democratic committeeman and 2nd Ward Democratic committeeman have been confirmed. Republican ward committeeman position invites are outstanding. Each candidate gets two minutes to introduce themselves and then everyone is free to walk around, talk to each other and ask questions. The Polish Triangle Coalition, of which EVA is a member, is looking for input into Blue Line renovations. Funds are approved by the CTA and Chicago Department of Transportation but work will not start until later in the year. The CTA told Scott Rappe that the community would be involved in planning. Brian Foote noted building permits for a 6-unit building at 1108 N. Ashland and 8 units above retail at 1542 W. Chicago Ave., the closed Rothschild Liquor site. 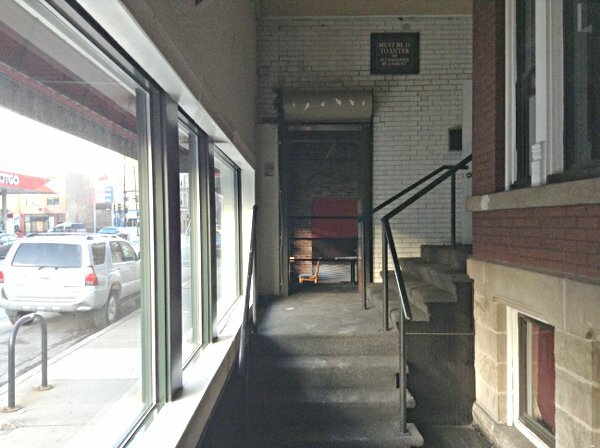 The 12th District commander opposed the late-night liquor license for the bar at 1935 W. Chicago Ave. Ald. Proco Joe Moreno drives the decision. EVA has sent a letter to the liquor commission asking for Cleos' plan of operation. The city has no deadline to act. The slate was approved unanimously. The website is changing to a less expensive hosting plan. LaSalle II will sponsor a fundraiser April 29 at the National Museum of Mexican Art, 1852 W. 19th St.
Burglars enter homes by force or through unlocked doors in a string of daytime attempts. Keep property clear of objects that can be used to smash windows or pry doors The No. 1 deterrent to crime is a nosey neighbor. Pick up and lean up newspapers or anything piling up. Friends of Eckhart Park plans a fundraiser May 12 AT Habana Libre, 1440 W. Chicago Ave.
Parlor Pizza, the former Moonshine location at 1824 W. Division St., and Black Bull, 1721 W. Division St., have applied for Public Place of Amusement licenses, generally required for live music. Ald. Proco Joe Moreno is not asking for EVA review as in the past. Moreno also wants to lift tavern license moratorium on the south side of Division Street between Wood and Milwaukee, which would allow sale of Gold Star, 1755 W. Division St.